This morning Dad and I decided to rent some bikes from Blazing Saddles cycle shop. I brought my cycling clothes (except cycling shoes), so I decided to rent a proper road bike to go on a long tour. Dad rented a hybrid, but we stuck together for the first part of the day because he said he would head back later after crossing the Golden Gate. We started out at Fisherman’s Wharf Pier 41, at Northpoint and Beach streets, past the Embarcadero. We cycled down Jefferson street, past Aquatic Park, the Maritime Museum, Fort Mason, to the San Francisco Bay trail, past Crissy Field. 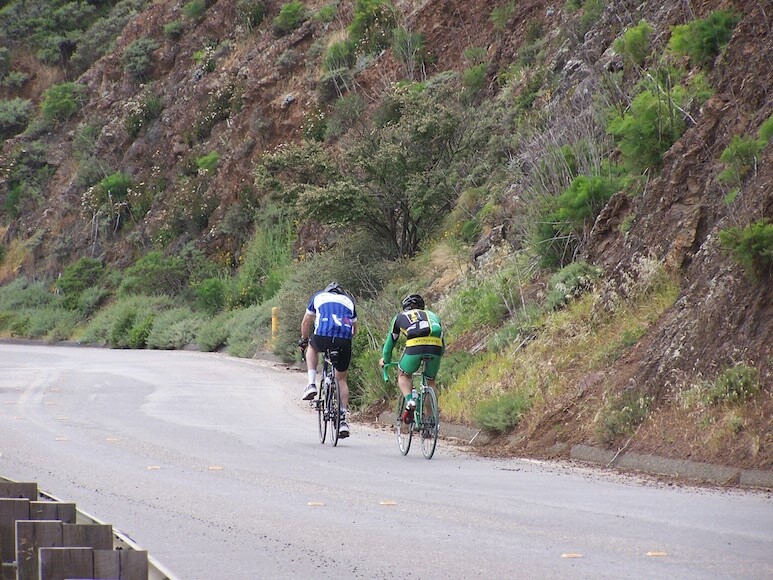 We continued to Battery East Trail, on to the Golden Gate Bridge northbound. I have walked the Golden Gate Bridge before, but I had never before cycled the pedestrian lanes. It was absolutely beautiful looking back to the city and bay to our right. We could see Alcatraz off in the distance. It never gets old seeing the majestic bridge towers soaring above with their famous and beautiful “International Orange” paint. We took a few photos and savored the scenery. After reaching the north side, we turn left on Alexander Highway under 101, and cycled up steep Conzelman Rd to the Battery Spencer lookout. 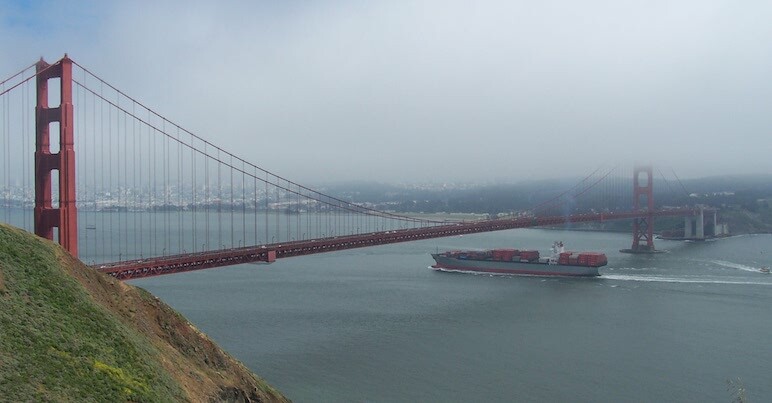 I waited on Dad and we enjoyed the views of a few cargo giant ships from Japan and China sailing underneath the Golden Gate in the fog. Dad had already decided this would be his turnaround point, so I continued upwards on the climb up Conzelman Road into the fog. 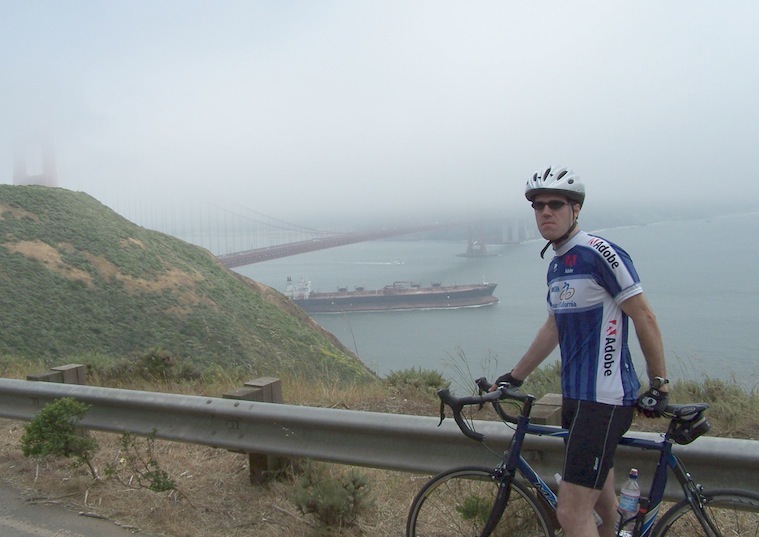 I decided to tour around the Marin Headlands for two loops. 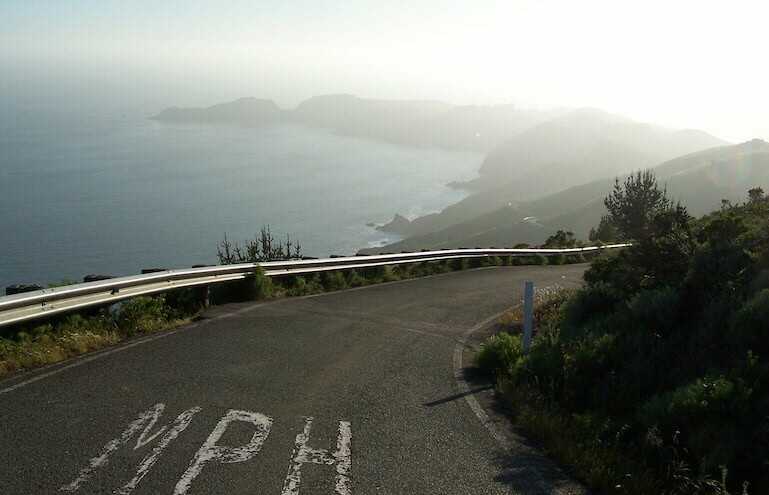 I passed by the barracks in the Golden Gate Rec Area, took the Coastal Road (frightening descent) to Bunker Road and through the tunnel and back up Conzelman Road. I did this again the second time with a group of doctors that I met up with. The second time through the Bunker Road Tunnel, I went straight towards Sausalito on East Road and took Bridgeway through town on to Mill Valley-Sausalito Path. I took it to Ashford Avenue near Tiburon and cycled Tiburon Blvd to Tiburon Ferry Terminal. After stopping for a drink and a snack, I took the ferry back back to Pier 39 where Mom and Dad picked me up. Overall I did about 30 miles with some serious climbing. 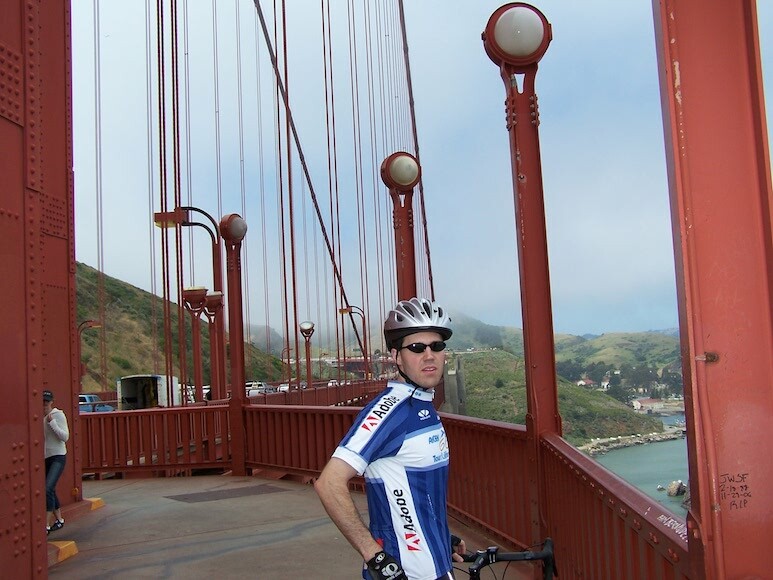 Back in San Francisco, I returned my bike to the cycle shop and then we returned to the hotel where I cleaned up. Then we drove across the Golden Gate to Corte Madera where we had dinner at Marin Joe’s, known for their steaks and burgers since 1954. You wouldn’t believe all the Aston Martins, Maseratis, Porsches and Bentleys in this area. To end the day, we drove over to Sausalito to walk around town before heading back across the bridge to Ghirardelli Square for desert. I had a Gold Rush sundae night. I justified it by saying I needed to replenish the calories I burned earlier in the day!